I was born in Lennox Castle, Scotland on November 24, 1944. As a small child, my paternal Grandmother would take care of me at times, during those times she would speak about 'psychic phenomenon'. I somewhat understood, but did not grasp it completely. It is my father’s side of the family that the Clan MacKinnon came from. Life was pretty much normal, as normal as it could be with a war just ending. My mother's parents were not very supportive of her, and it grew to be a problem with my father. It came to the point where it was interfering in our family's life - my parents and myself - it was becoming destructive. Then, when I was 8 years old, my paternal grandmother died. Not having her to talk to about 'psychic phenomenon', I turned to my other grandmother and my mother. Up until that point, I believed this to be a normal topic of conversation, and the things I was experiencing I also believed to be normal. This topic with others quickly became a hush hush subject, it was considered to be evil. In school in Scotland, I was one of the brightest students, earning honors in every class I took. I occasionally spoke about 'psychic phenomenon' to school mates and what have you. To say the least, some considered me to be a little on the weird side. Shortly after my grandmother's death, events would be more pronounced and more often. I had many more experiences, and soon began to completely understand what my grandmother was speaking about. During history classes I would question the lessons. I felt that some of the information being taught was wrong, or was missing some important factual information. I didn't know how I knew, I Just knew, and I knew without a shadow of a doubt. I felt as if I could have taught the lessons myself from first hand knowledge, even though it was impossible that I had ever been there. The school was trying to have me committed to a mental institution because of these events and conversations. They honestly felt as if I was crazy. My father fought the school, and as a promise to him I didn't speak about how I felt again. Although one day, I was waiting in line to go back into the school from a recess break, I turned to my friend behind me and told her I was going to move to Canada to live. I had no idea that I actually would move, it just came out, and I believed it. My maternal grandmother was interfering even more in my family's life, to the point where my father felt that he had to take my mother and I to a place where we would be away from her destructiveness. 5 years later, in November of 1957, my parents and I moved to Canada. Once I moved to Canada, as far as school went I didn't really feel as if I fit in, but I tried to make the best of it. I ended up dropping out of school and working, but I did well in my endeavours. I would still try to speak to my mother about my experiences, she still insisted that what I would talk about was evil. As an outlet, I began to write poetry and short stories - all with the same theme - psychic phenomenon, death and rebirth. I met a group of friends, we were very close and did alot together. One thing we liked to do was head down to the U.S. on a weekend, usually the Southern States. I remember the first time I was there I felt very familiar with my surroundings, like I had been there before. In fact there were certain things I recognized, but had no explanation. Needless to say I felt pretty at home on the weekends my friends and I would travel. During the next 10 years or so, I went about life as normal, working, hanging out with my friends and of course doing a little research on my gift. I didn't really talk to anyone much about it because of my experiences when I was young. Also, my mother was beginning to become somewhat like her mother, not very supportive of me or my ideas. On January 24, 1969, my parents, being Scottish, were going to a Robbie Burns supper and dance. I wasn't really interested in going, but with my mother bugging me to go, I was tired of arguing about the reasons I didn't want to go, I unwillingly went along. I remember one of the statements my mother made during one of our discussions that night "just get dressed, you'll go and meet your prince charming, fall in love and live happily ever after". I was married 10 months and 1 day later - to a man I met that night. He had never been in that area before that night. He happened to go as a favour to his friend who had been stood up by his date and didn't want to go alone. I remember asking my mother the day before my wedding if she had had a psychic experience that night she made me go to the dance with her and my father, she just walked away and never answered me. The next 10 years were spent raising my children, working at times and being a stay at home mother and wife. I began to feel that something was missing in my life. I turned my attentions again toward my gift. I often felt as though people, who had passed on would come and visit me. I would be given 'messages', but I didn't know what to about it. By this time in my life, I had quite a few friends that I could talk to about this kind of thing. I would do readings for my friends, but just as a hobby. I had gotten quite good at it. A few of my friends were able to talk me into doing it as a profession. I would speak to my husband about my feelings and experiences, to my surprise he was very supportive. So I began to follow my path, the only one that ever felt truly natural to me, and do readings for people. I have helped the police, and I have also cleared out houses. 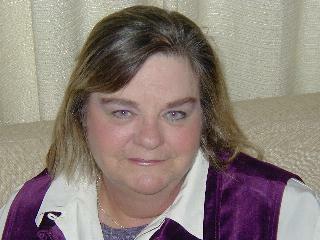 I have been doing readings professionally for over 30 years now. I greatly enjoy helping people. I help with dealing with a loss of a loved one, at times I am able to provide comfort, and even relay a message to them from their loved one. I help with life choices, people often feel a sense of clarity once they have seen me. I often get a phone call after an appointment thanking me for all my help, and just to confirm what I had told them to begin with. I first started with psychometry, which is holding an object that belongs to the client, and reading that way. I branched out in Tarot. I now do a combination of both. I am very happy with my life and the path that it has taken. Revised: 10 Feb 2004 21:08:47 -0600 .